Each day I work with flowers, flowers that grow in yards, nurseries, homes, etc … you get the picture. However, while I was thinking about flowers growing I began to think about how much my business has grown, and I am simply overwhelmed with gratitude. Yesterday I met with a new client and soon my one-of-a-kind pieces will be at yet another location! (Stay tuned for further details.) I walk away from each new client meeting feeling blessed, and I hope my jewelry makes others feel the same way. I am warmed when I receive letters stating how much my designs meant to someone who had lost a loved one and they love the flowers that have been turned into a gorgeous piece of jewelry. I just love it! For these past few months of crazy growth, I want to say thank you to every person who has helped spread the word about Fleurenasci. Your kind expressions are appreciated. I am completely aware that a great deal of my success has come from great friends and happy customers. Keep spreading the word, and I’ll keep creating new and exciting pieces to share. I am confident you probably know where you were 13 years ago today. It is a day that none of us will forget, as I know I never will. As I write this blog there are numerous shows on reminding us of the day’s events. I watch because I never want to forget those that lost their lives at the hands of terrorists. I never want to forget the first responders who gave their lives without a second thought. I never want to forget the men and women who were then sent overseas to fight the war that threatened our safety. In my family I am grateful for my family members who have served and are serving even today. My dad, grandfather and nephew all served our country, and my daughter’s boyfriend recently joined as well. Words cannot express my gratitude to all those who are willing to fight for our freedom. On this anniversary I hope you too will take a moment to remember those no longer with us. 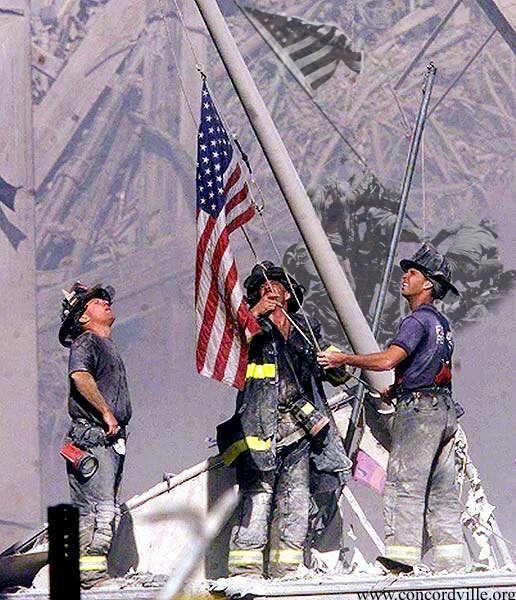 I pray we never live through another day like that one, and I say thank you to the men and women serving our country. We all enjoy looking out our windows and seeing beautiful flowers, but did you know that gardening those gorgeous blooms can actually help to relieve stress in your life. The sunlight alone is good for the soul, not to mention getting in touch with nature. In a recent about.com post the article described the many benefits of gardening for your body, spirit and mind. The article explained that sunlight “provides an influx of vitamin D, and the fresh air that that goes with it is good for your health.” Gardening is simply a great excuse to get out and enjoy these fantastic health opportunities. Gardening is also good for the soul because it allows us to get out and enjoy nature. We all spend so much time at work, looking at a computer, and posting on social media, that we forget how wonderful it is to be outside. Gardening give this opportunity back to us. The article goes on to state how to get started in this great activity. From landscaping for beginners to creating landscape designs, it’s all there for you to read and learn from the experts. I truly enjoyed the article and hope you all will take a moment to check it out. And remember, once you grow those flowers, keep them with you throughout the year with a keepsake from Fleurenasci!